Gorgeous foil wrapped chocolate squares in a pink and rose gold wrapper. 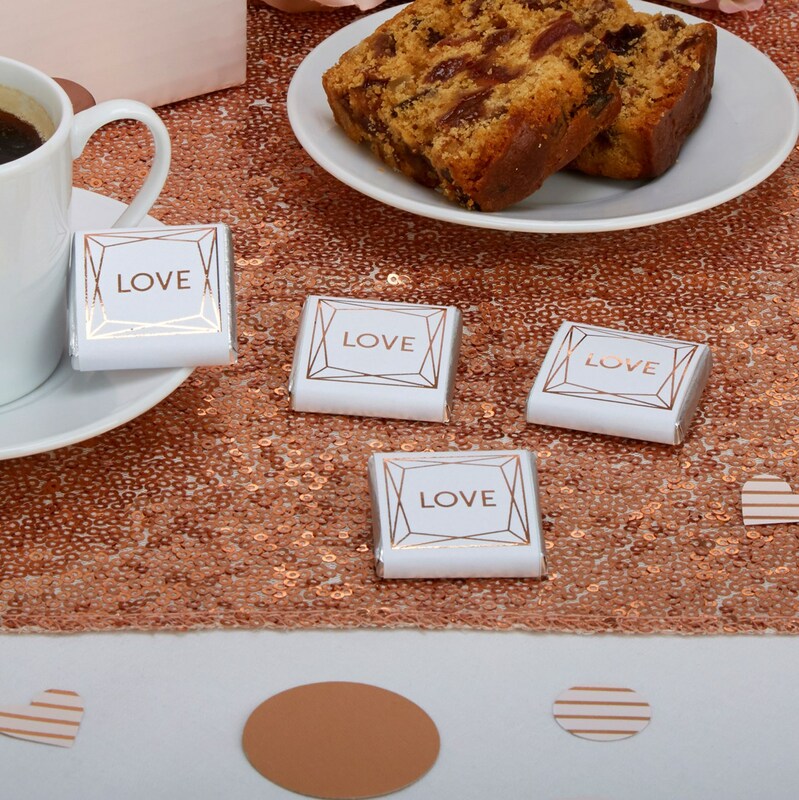 Made from high-quality milk chocolate, the squares are encased in a stylish white wrapper, embellished with an eye-catching geometric design and ‘Love’ lettering in rose gold. Place a chocolate on each table setting or add to your favour bags – a stylish addition to your wedding accessories.